Welcome to the Blog of Anderson Lumber Company. With so many ways to finish wood how do you know which one to choose? from urethane’s and stains, oils and lacquers to sealers and varnishes, the possibilities are endless. The experts at Anderson Lumber are here to help you get started with some great advice or tips for selecting the correct wood finish for your woodworking projects. The way a wood finishes often depends on a number of different variables. Grain, texture, wood type, age, temperature and more. The best way to see what you get is to go for it. Test your finish out on a comparable piece of wood to see what finished product you will get. If you don’t like it keep trying til you get what you are looking for. It’s kind of like cooking and adding an ingredient to your dish. If you need to add or take away, you can make adjustments and eventually you will get what you were looking for. Wood finish and cooking? If you want it to be perfect it takes practice. Just have patience and you will be pleased with the outcome. 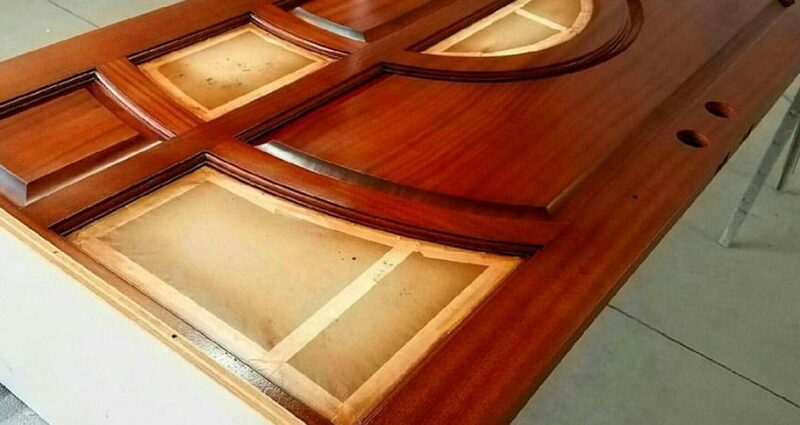 There are many types of finishes, keep searching and you will find that one that works best for your woodworking projects. Polyurethane is a very common type of wood finish and is one of the most commonly used wood finishes today. Polyurethane is great for areas with heavy traffic like hardwood floors. 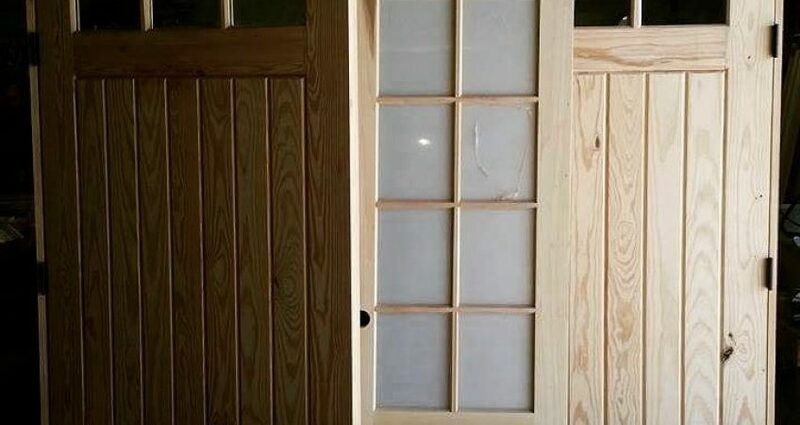 It can also be used on doors and windows as well as some furniture. The only downside is it leaves a slick finish that may not give the user what they were hoping for. add protection to the surface. The most popular oil wood stain finishes are Tung Oil, Teak Oil, Antique Oil. One of the best options when it comes to oil finish is Boiled Linseed Oil. Boiled Linseed Oil is a slow drying oil that penetrates deep in the wood and gives it a great finish. Over time Boiled Linseed Oil will strengthen the wood and give it a protection from water and other types of potential damage. Boiled Linseed Oil looks great on wood and brings out features that will allow you to appreciate the beauty of the wood itself. Wax is available in liquid, paste, and solid stick forms. Wax is available in numerous colors. Colors often available are clear, amber and a range of wood tones and even white. Waxes range from soft to hard but never as hard as lacquer and varnish. For finishing purposes wax does not penetrate wood, it stays on top. It prevents oxidation, but does not enhance at all. Wax is best when added to oil finish. You will need to wax from time to time to maintain. Water base wood finish can offer a good protection when applied correctly. Most water based finishes dry quick so that is an added feature when using. With water finish you can apply several coats a day with minimal odor. – Water Base finish cost twice as much as oil-based polys and often need more coats. Finishing your wood can be very rewarding when done right. Make sure you know what works best for the type of wood you are finishing. Remember Anderson Lumber of St Petersburg for all of your hard wood and lumber needs. Have a question, our experts are at the mill and ready to help. Custom Wood Lattice from Anderson Lumber of St Petersburg is a great way to decorate the exterior of your home and give you another reason to spend the day outdoors enjoying the beautiful Florida sunshine. Wood Lattice is not only a natural product but it also adds instant appeal to your St Petersburg home. Customize your own lattice design and enjoy the elegance it gives your home. Commonly used as a border it provides privacy and security. A custom wood lattice fence from Anderson Lumber of St Petersburg makes a natural welcomed addition to any Gulfport home. Customize your lattice fence and bring your visions to reality with Anderson Lumber. Beautiful all natural wood lattice is decorative and adds charm to any home. The privacy that is provided by a custom wood lattice fence is one of the best feautures of all. It can be placed almost anywhere and is flexible yet strong enough to withstand Florida weather. Our Custom Wood Lattice provides an easy-to-use, economical, and versatile method to enhance your home and add substantial value to your property. Lattice can be used to provide privacy, add unique style to your home. Lattice can add new dimensions to the appearance of your property. If you are looking to make the outdoor area of your home more appealing or just want some more privacy, custom wood lattice from Anderson Lumber of St Pete is the place to shop. Come in and see us today. Living in St Petersburg we are spoiled by the beautiful weather. A great way to spend even more time outside in the sun and not leave home is with a custom wood deck. Are you someone who likes a return on your investment? Not only is an outdoor deck a great space for entertaining family and friends, but a deck adds value to your home. With some great choices of lumber for your outdoor deck, Anderson Lumber can assist with any questions you may have about any of our great wood decking. If you love entertaining and want a great space to do it, an outdoor deck can be built and customized to fit your needs. Family get togethers, parties, BBQ’s and more all without leaving the comforts of your home. Most people feel like they have an outdoor living area. Easily add a TV, tables and comfortable furniture for even more customizing. Like we said before there are many ways to customize and design your home deck. Match it up with your current living space, accent with colors and outdoor lighting and shades of stain. The possibilities are endless and Anderson Lumber will help with any questions about your new outdoor wood deck. One of the nice things about a deck is that it actually makes your living sopace feel bigger. A deck gives you the option to get away without leaving home. Need a litlte fresh air or just some space to think? Step outside and enjoy all the comforts and sounds of nature on your beautiful customized wood deck. It just doesnt get much better than this. If the initial cost has you worried make sure to do your research. 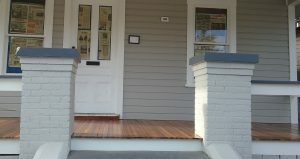 A wood deck can be built fairly inexpensive and the ROI is excellent. You will have plenty of customizing options from the start. Just make sure to ask lots of questions and compare materials and quotes. If you need help and have questions, remember your friends at Anderson Lumber of St Pete. We are lumber experts and have assisted our St Petersburg community with deck builds for over 5 decades. At Anderson Lumber of St Pete we are often asked about the words Quartersawn and the difference between lumber cutting methods. 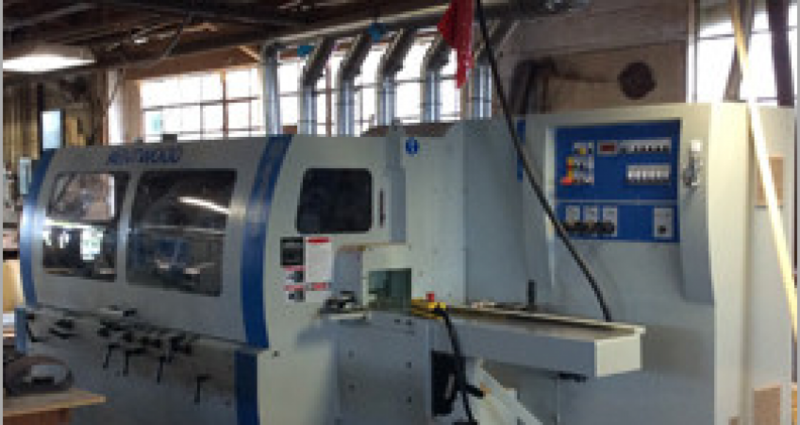 At our St Petersburg, Florida Lumber mill we have been using the various methods for cutting lumber for over five decades. To help our customers understand the work Quartersawn we thought we would explain the various ways to saw a wood log. The most commonly used method is plain Sawing. This method is the simplest way to cut rectangular boards out of a round log. In plain sawing, the wood is saw tangentially to the annual growth rings. You can easily notice this cut by the cathedral arches. Quarter sawing is also popular and gets its name from the fact that the log is first quartered lengthwise, resulting in wedges with a right angle ending at approximately the center of the original log.Then you take each quarter of sawn wood and tip it and cut again. Resulting in boards with the annual rings mostly perpendicular to the faces. Benefits of Quarter sawing is that it yields boards with straight grain lines, and greater stability than flatsawn wood. The Riftsawn method of cutting wood is seldom used as it produces a great deal of waste. The technique used also prvents the rays from showing after the cut. 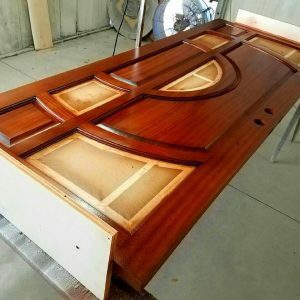 Understanding the different techniques that go in to cutting your lumber may help you make an easy decision next time you are shopping for lumber in St Pete. Anderson Lumber together with Edison Ford Winter Estates, is making it possible to own a piece of history. The beautiful historic reclaimed wood from the gardens of Edison estates will be available on a first come first serve basis. You can get on the list to own a historic piece of this reclaimed lumber by contacting Anderson Lumber. Yes you can own something that was planted by hand by the great Thomas Edison, dating back over 100 years ago. Thomas Edison first purchased the property in 1885 and put his design to paper in a plan drawn by hand. Thomas Edison first became interested in the property because of the bamboo planted there. The east side of Edison’s property were primarily used to grow experimental plants while the ones on the west were for personal interest. Used as a place to getaway as well as living quarters, many trees were planted throughout the property to provide privacy to Edison as well as his influential guests. Thomas Edison and his wife Mina had a passion for nature and planted a diverse species to attract birds and butterflies. How did Anderson Lumber get the trees? Great question. 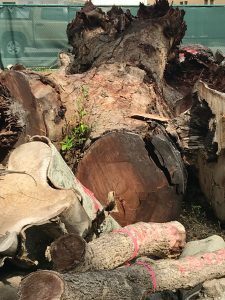 During Hurricane Irma some of the historic trees on the grounds at Edison Winter Estates sustained damage and were either knocked or cut down for safety reasons. In an attempt to make a bad situation into a good one, our good friends at Edison Winter Estates provided an opportunity for Anderson Lumber to take ownership of this historic reclaimed lumber. Of course we jumped at the opportunity. Some of the species of reclaimed wood that are coming are African Mahogany, Australian Pine, Buddha Coconut, Java Plum, Mango, Moreton Bay Chestnut, Mysore fig, Shaving Brush, Sausage Tree and Ylang Ylang. 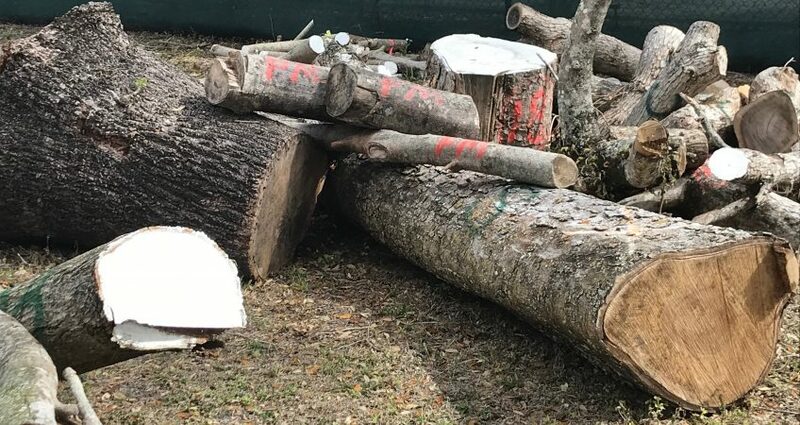 We are very thankful to Edison Estates and excited at the opportunity to share this historic reclaimed lumber with our Gulfport, St Pete and Tampa Bay Communities. If you love reclaimed lumber and would like to add a piece of history to your home, make sure to contact Us and get your name on the list. We wont have it for long!! Reclaimed wood for Home Improvement has become quite the trend lately. With do it yourselves, contractors, homeowners and business owners using the beautiful wood from wooden barns and timber houses to accent their own buildings. The truth is that the possibilities are endless. Using the planks, wood and beams from old structures and putting them to use in a new place to call home. There’s no substitute for the warmth that wood brings to your home. 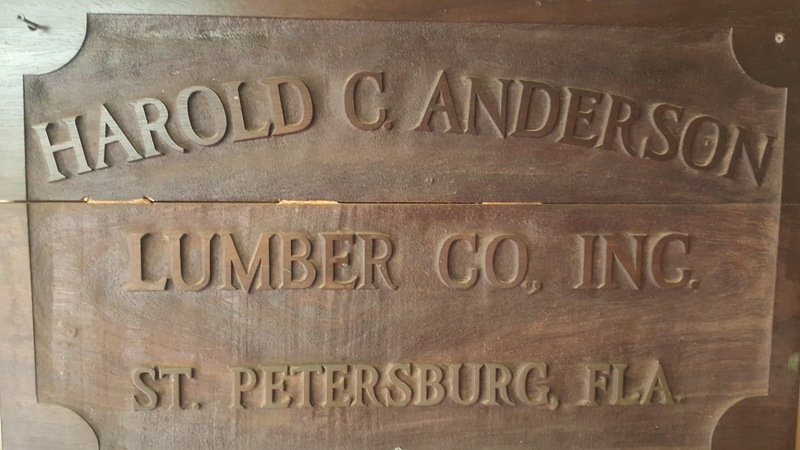 Every single piece of reclaimed wood from Anderson Lumber of St Pete has history and tells a story of the past. Adding the accent of reclaimed wood to your home will give it that perfect touch you were looking for. What other material can add so much charachter and age to a new home in such a short time? Part of the popularity for the use of reclaimed wood is that rustic look and feel it provides in the setting. Reclaimed wood is a very versatile wood and can be used to improve and accent any space. Many restaurants choose to use reclaimed wood with a certain appearance in mind. An important feauture of reclaimed lumber from Anderson of St Pete is the ability to accomodate any look. From rustic to chic, if you can envision a look reclaimed wood can deliver. Being a eco friendly wood is also a big plus when using reclaimed wood. The processing of reclaimed wood uses more than 10 times less energy than other woods would use. 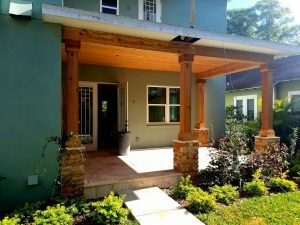 The reuse of reclaimed wood from Anderson Lumber of St Pete is a great way for those who are environmentally friendly to infuse their beliefs into their own homes and businesses. This happens because you are reusing material from trees that were cut down a long time ago and saving it from going up in flames. The material can be used for flooring, interior trim, kitchen cabinets, or pretty much anywhere in a home that you might consider using wood. And if you’re concerned about protecting the environment, using reclaimed wood is the ultimate in recycling. You’re reusing material from trees that were cut down ages ago and saving it from ending up in the burn pile. The use of reclaimed timber cuts down on waste and contributes to modern sustainability. If you are looking to accent a room, add charachter to your home or business reclaimed wood is perfect for you. Reclaimed wood from Anderson Lumber of St Pete can be transformed into almost anything with a little effort. Reclaimed wood from Anderson Lumber of St Pete is beautiful, price friendly and environmentally friendly. If you are starting a project in the Gulfport, St Pete or Tam,pa Bay area and looking for the perfect material to make your home or business stand out, then reclaimed wood would be perfect for you. Wood is a fantastic material to use in all of your home improvement endeavors. Not only does it possess a beautiful and timeless look, but it can also be durable, environmentally friendly, and more cost effective in the long run. 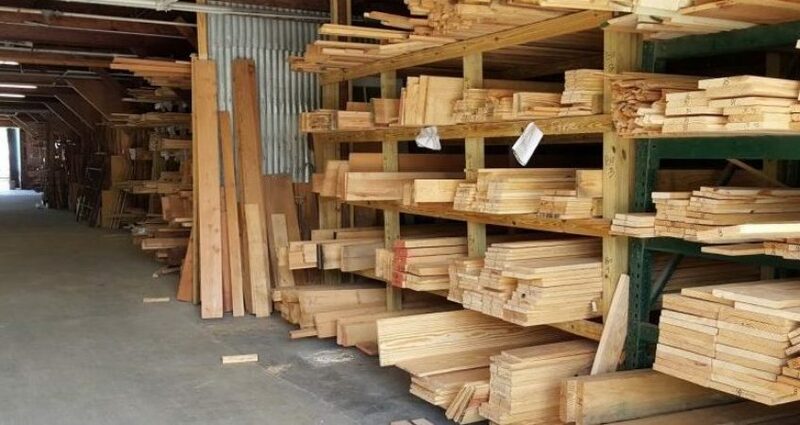 Anderson Lumber of St. Petersburg, Florida has one of the largest selections of wood around. Their goal is to provide quality materials with great customer service, and even better prices. Using wood is much more environmentally friendly than many may think. It has great insulating properties. In fact, inch for inch, it insulates significantly better than concrete, steel, or even aluminum. Wood reduces energy waste along with the accompanying costs. The manufacturing of wood is also the most efficient when compared to other building materials. It actually costs very little energy to produce. Wood comprises 47% of industrial raw materials manufactured in the U.S., but it only uses a mere 4% of the energy needed to manufacture these materials. Another reason why wood is so environmentally friendly is simply because of how durable it is. There are wood structures around the world that have lasted thousands of years when taken care of. This long-lasting durability translates into sustainability and energy savings. There are very few materials that can withstand the test of time! Anderson Lumber has been around for over 100 years. Their highly professional craftsmen have many years of experience. This family owned and operated business is ready to help you tackle an eco-friendly home improvement. There are a variety of ways to improve the value of your home. If you decide to take the leap into home improvement, adding a beautiful wood siding to your home may just be the renovation for you. A new custom wood siding is a great way to update the exterior of your home while adding a stylish durability. Anderson Lumber of St. Petersburg boasts one of the largest wood selections in the Bay Area. They offer everything from aromatic cedar and cherry, to various oaks, balsa, and much more. They’re proud to help you re-side your home with their custom mill work and affordable prices. Wood siding on a home possesses a natural charm that’s hard to beat. It has a warm and cozy feel. Even better than that – it’s durable. Wood siding can last generations when properly maintained. Choose higher grade woods that are free of knots if you plan to use a clear sealer or a semi-transparent stain. Choose less expensive wood for use with paint or opaque stains. Maintain the siding by reapplying clear finishes every two years, semi-transparent stains every three years, or paint every five years. Considering wood siding for your home is also a more environmentally friendly option than others such as vinyl or cement. It is highly sustainable and breaks down easily in landfills. There are fewer CO2 emissions created when producing wood. A wood siding for your home is both beautiful and durable. Anderson Lumber couples that timeless beauty with great prices. They have over 100 years of experience under their belts to help you find exactly what you need. Custom millwork is the silent partner of the practical and impressive home. Everyone has to consider how to design or upgrade their home and custom millwork can make the difference. A few millwork installations in your kitchen, windows, or living room can catch the eye, while keeping cost and maintenance down. That’s why, when you want to take the step to improve your home, you want to reach out to a local company that you can trust. That’s why Anderson Lumber Company’s mission is to provide the greatest experience selection, service and quality custom woodwork in St. Petersburg. Simple updates can make the difference. The quick addition of some professionally crafted custom baseboards or hand crafted wood window frames can contribute beautifully to your home. There are endless opportunities. Whether you want to improve a specific room, or just add a small touch of beauty to your home. Custom millwork can also increase the value of your home. A budget conscious woodworking project with interior or exterior improvements can greatly improve the value of your home investment. Florida is an especially humid environment. Everyone wants to make the right decision on how to invest in their home. It’s important to choose the right type of lumber, which is easy to maintain, looks great, while providing immediate and future value to your home. The weather in Florida can be harsh. Custom millwork can also be used to preserve and repair pre-exiting architecture, window frames and wood doors. Tampa Bay has some amazing historical houses. It’s important to preserve them! Anderson Lumber Company is a full architectural millwork firm with retail lumber sections, open to contractors and homeowners alike. Located in St. Petersburg, Florida it is locally owned with over 50 years of industry knowledge in lumber and artisanship. We can help you discover your dream home. For more information contact us at (727) 321-3111 or hcanderson.lumber@gmail.com.